Microsoft Azure has data-centers all over world from where azure services are managed. Data-center is the hub of computing and network from where Microsoft Azure provides their services. When I started to study about cloud, one question always hits in my mind how to Microsoft is managed the services or how to provides cloud services, a pic of large data-center come in my mind, a large building, large machines etc. But I was wrong Microsoft has more data-centers in global region which offering the scale needed to bring applications closer to users around the world. A region is a set of data centers deployed within a latency-defined perimeter and connected through a dedicated regional low-latency network. More than one datacenter equipped with independent power, cooling, and networking which is called Availability Zones. 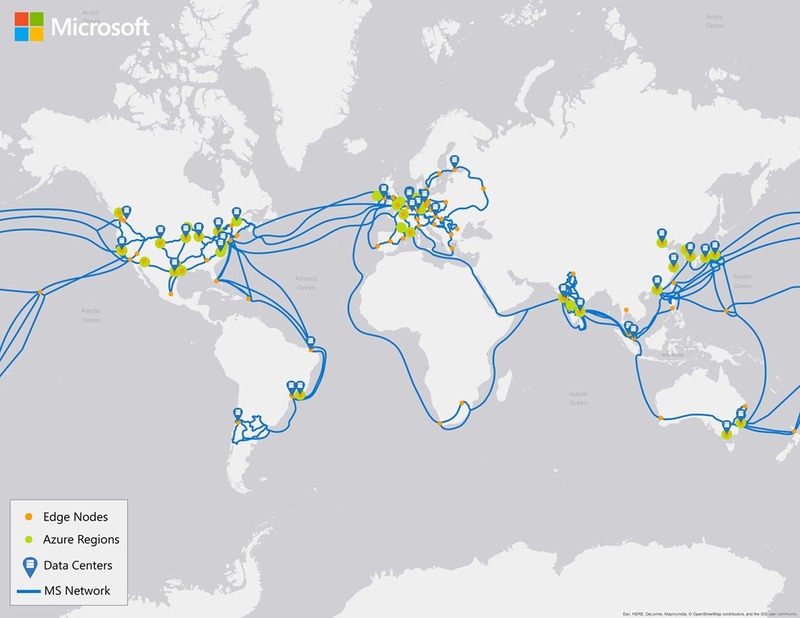 Microsoft has 54 azure regions, available in 140 countries and up to 1.6 Pbps of bandwidth of in a region. To run an application efficiently we need to choose right data-center. When we developing an application or set up the environment/ infrastructure for an application, then Azure asks for specific region. You can choose data-center/ region on basis of performance or cost. For the performance we always choose nearest data-center to user, means if I want to run an application over network through Azure Cloud and this application has been used by Indians then we have to choose availability Zone available in India region. The cost of cloud services also may vary due to region, suppose your application runs using database and media services, and both service are exists on different region then it may be possible you have to pay as per transaction for media service or database service.